Northpine Christian College commissioned Spantech to design and construct a building in two stages to meet the immediate and future needs of a growing school. 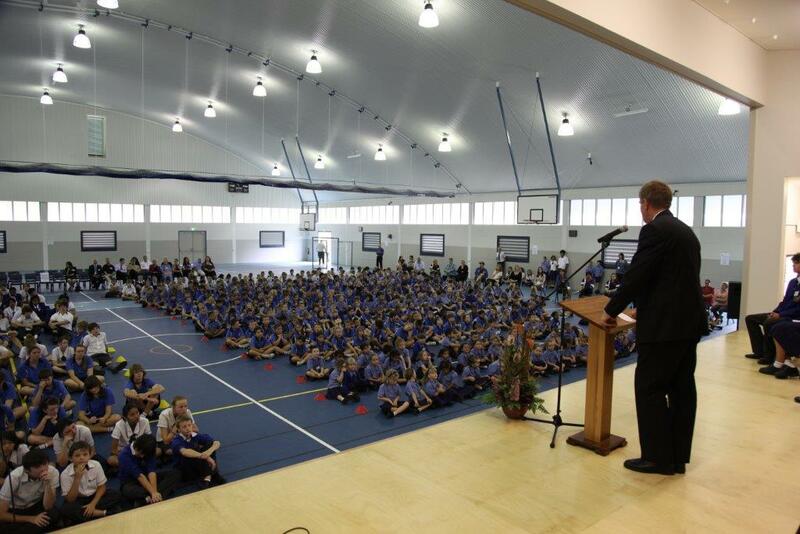 Stage 1 was an expansive shade structure over the existing Junior School basketball and netball courts, located adjacent to the school’s 25 metre swimming pool. The layout and structural steel of the 38m x 38m structure was designed to accommodate future expansion. Stage 2 was to enclose the existing shade structure to create a state-of-the-art indoor sports and performance hall with funds made available under the BER program. An innovative pre-cast concrete wall system, plus windows and louvers were added to the existing shade structure to enclose the building. Other elements such as a new feature entrance, an insulated acoustic ceiling, a new concrete slab and point-elastic sports floor, retractable sports equipment and a court dividing net were added. The building was extended to incorporate a performance stage with lighting and sound systems, and associated storage and back-stage areas. By working closely with the school and carefully considering its current and future needs, Spantech was able to deliver a solution which met the school,s requirements and cashflow. While the multipurpose hall was being constructed, Spantech erected a shade structure over an existing concrete play area. The simple shade structure has become a well used central feature of the junior school. 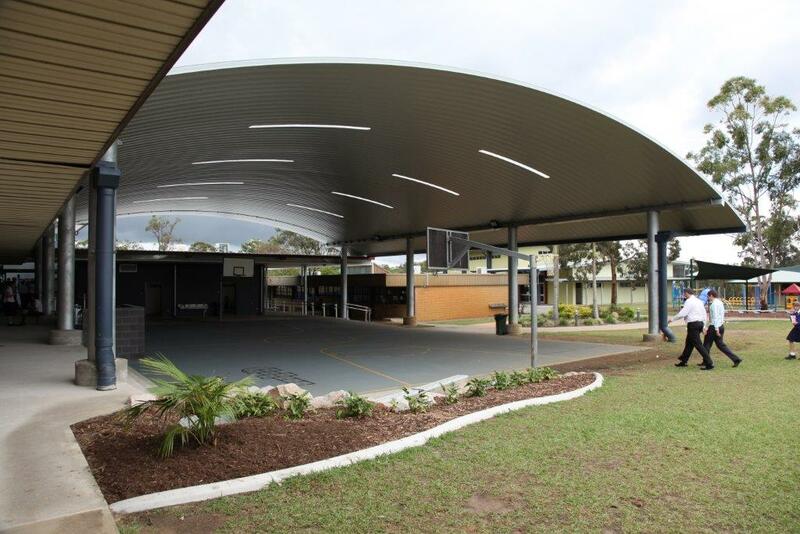 Officially opened on 31 July 2007, Spantech designed and constructed this structure to provide year-round shade and weather protection for the senior students at Northpine Christian College. 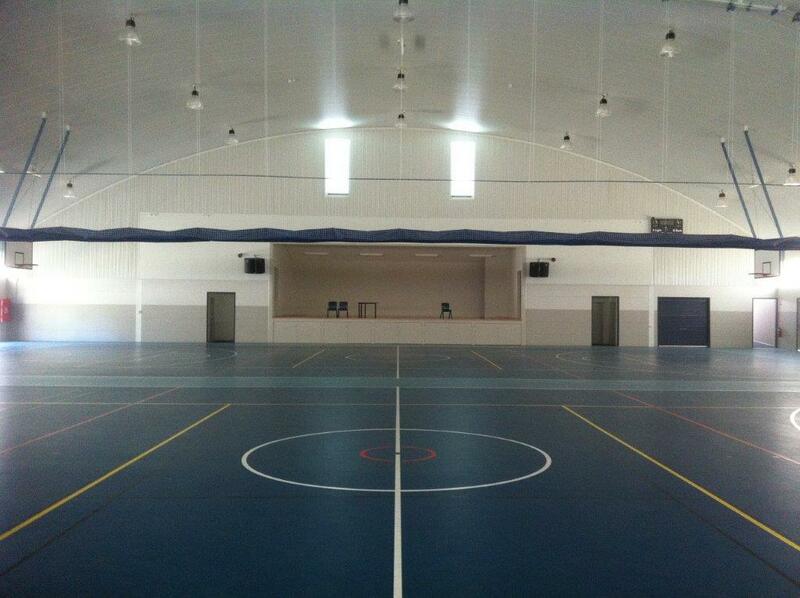 The Spantech arch spans 34 metres from eave to eave and is 32 metres long covering two existing basketball courts. Rising to an apex height of 8.8m from galvanized steel beams supported on columns that stand 3.6m high, this geometry provides structural economy by minimizing loads and maximizing protection from both sun and rain. 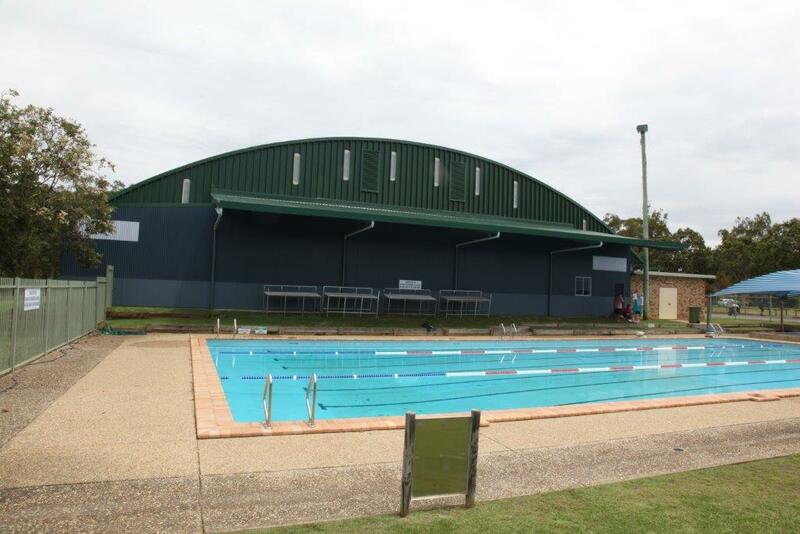 The arch is rollformed from Colorbond steel and is self supporting without need of interior trusses. It provides a pleasant appearance, maximizes space under the roof, eliminates roosting places for birds and maintains the feel of the outdoors. The addition of skylights has created soft even light under the structure improving visibility in fast moving sports. Located in a relatively limited construction area which included existing trees and facilities, Spantech crews completed the on-site works in just 4 weeks with the College in session. The Padua College Greccio Tennis Court project involved rebuilding and covering two existing tennis courts located between an historic building, existing classrooms and a busy suburban intersection. Read more. Bonny Babes at Coomera is a 150 place child care centre catering for ages from 6 weeks to 5 years. A key feature of the design is the internal courtyard covered by an expansive Spantech 300 Series roof which floods natural light and fresh air into the centre of the building. Read more.